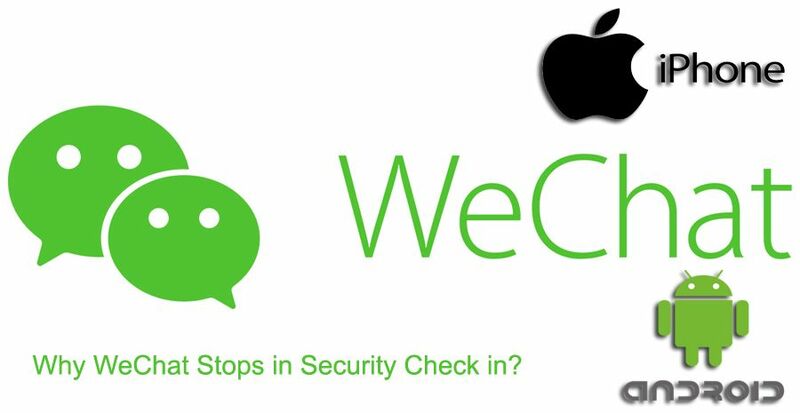 Why WeChat Stops in Security Check in? We have got a question from one of our users about WeChat security problem: “I cannot sign up WeChat, only stop in security check in. Why?” Since we have removed our questions and answers service, we are going to publish answers and logs on here. Feel free to comment this page if you have any questions which are related with WeChat security issue. Firstly please check if there are applications which are working at background. You can use a cleaner application for this. Samsung devices have this feature generally. If you are using an antivirus or antimalware program/application on your phone please disable it for sometime until you complete the registration. If you cannot fix the problem with these steps, please contact WeChat support as Laurana told (Please go to Laurana’s post below and take a look at steps for contacting WeChat Staff). However 5th step must be “Others” instead of “Unable to receive SMS code”. If you are having the problem with the verification, you can see the Laurana’s post below. Welcome to How to Chat Online Q&A. I assume you are meaning verification by security check in. WeChat has officially told that there are some reasons of this problem. Using VPN or Proxy service on your phone or another application which will help you to have fake location. Solution: Remove these apps from your device and try register WeChat again. You have selected wrong country while you were asking for verification code. Solution: Check your phone number. After you select your country, you do not need to enter the country code. Double check your selected country. Do you have any antivirus or security app on your phone? WeChat also explained that such applications may block the verification message. Please disable it and try again. Solution: Disable those protection apps for sometime or remove them while you are registering. Reinstall or enable these apps when you are done with registering. You have reached the SMS verification limit. You can ask verification code for limited numbers. If you exceed this, you will need to wait for 24 hours. Nothing will change this though. (Reinstalling won’t help you since your number will be banned for 24 hours from verification service. Not the device…) Solution: Unfortunately there is no solution for this. You need to wait for 24 hours. Click here to go to official support page of WeChat. Select your country at region section. Choose “Unable to Login” at select categories section. Select “Unable to receive SMS code” at the next section of categories. Describe the problem with a few words at the description. Type your phone number to the first field of step 2. Type your email address to the email field. How to pass the security check in on WeChat’s sign up process? I can’t pass it. I am using Android operating system and Samsung Galaxy J2 Prime. Welcome to How to Chat Online and thank you for the question. Unfortunately this is one of the main problems of WeChat android application nowadays. We already got several questions about this issue on our services and we didn’t answer them all since we have provided solution for this in our Question and Answers service already. You should go one of following fixes for the solution and you can apply them on your Samsung Galaxy J2 Prime. However if it doesn’t help you please give us more information about your problem or ask your questions with details. ← MeetMe Invalid Phone Number: How to Fix?